Gearmore PTB560 Pull Type Spreader allows spread rate adjustment. 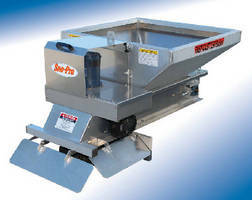 Gearmore PTB560 Pull Type Spreader features 20 in. diameter by 10 in. wide flotation tires and cast iron gearbox. 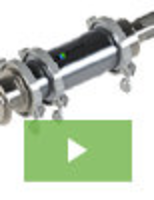 Unit allows operator to turn on and off from the vehicle using cable control. 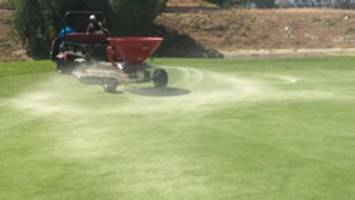 The spreader comes with 1070 lb capacity and adjustable spread rates make it suitable for seed, fertilizer, sand, and salt spreading. Wet Lime Spreader features 10-ton capacity. 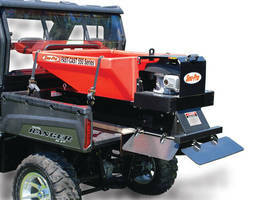 Lime Spreaders offer upgraded orchard/vineyard deflector kit. Aluminum Spreader provides snow and ice control. Salt/Sand Spreader enables efficient snow and ice control.